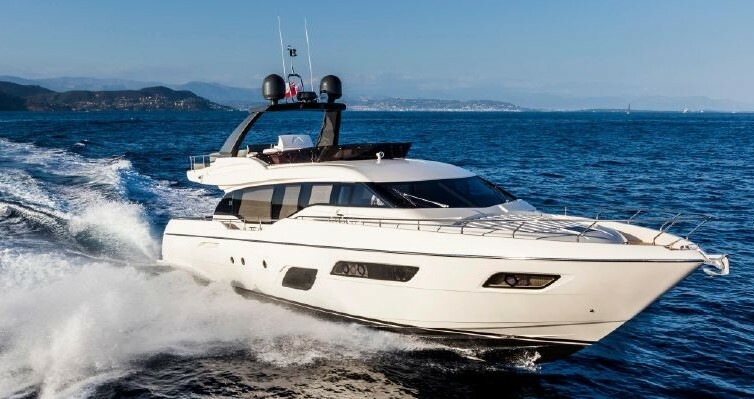 The Ferretti Yachts 731 is one of the most famous and well thought Ferretti Yachts ever built. She has only been used privately by one Owner since she was first delivered as new in 2005. This Yacht has always been carefully maintained by her Owner and Crew. She has been equipped with an “upgraded” engines version “MTU 2 x 1550 Hp” allowing her to combine: High performances, Seaworthiness together with an incredible comfort on board. The sumptuous master cabin enjoys breath-taking sea views..
SYS Yacht Sales is pleased to assist you in the purchase of this vessel. This boat is centrally listed by Ocean Drive.